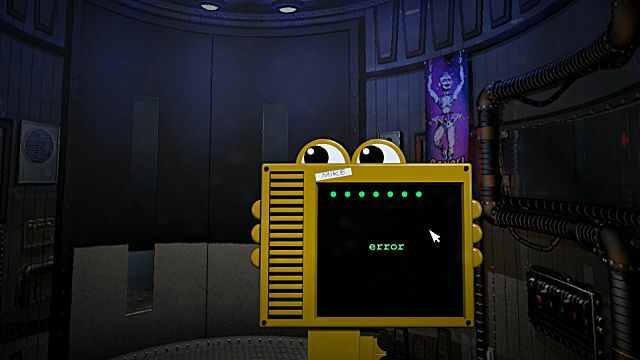 After the ill-fated Five Nights At Freddy's World was yanked off Steam and became a free download through the developer's website, it was unclear what exactly the future would hold for this series people love to hate. 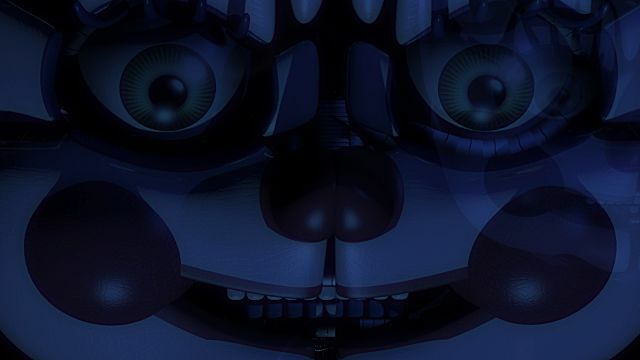 The only real certainty was that - despite whatever any given statement from developer Scott Cawthon might say - another entry would arrive at some point, it just wasn't clear what it would look like. 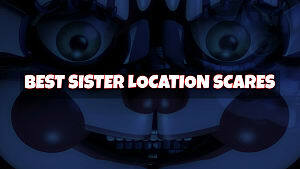 Well, Sister Location is now here, and it arrived with all the typical FNAF release shenanigans in full swing as Cawthon worked the game journalism industry. From the cancelled hoax to a delayed-but-not-delayed release, its clear he knows how to keep everyone on their toes and rile folks up online. You will note that Five Nights At Freddy's: Sister Location most assuredly did NOT make our list of most-anticipated horror games of the year. Although it's amusing to watch those reaction videos, the fun of the game series itself really burns out very quickly when directly playing. 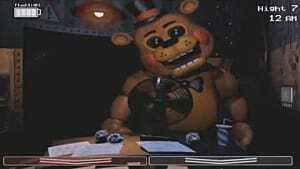 FNAF is a series with potential that unfortunately isn't just a one-hit wonder: it's really a one-note wonder. 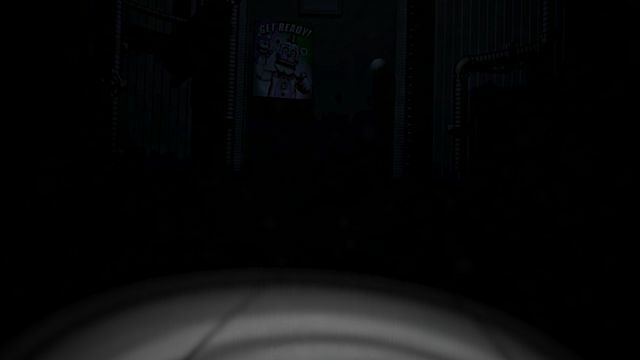 There's only one thing at all that matters here, and that's the sudden jump scare. But after you've experienced it seven or eight dozen times and the boredom sets in, the series very quickly loses its appeal. Whether you breeze through all the nights or get stuck repeatedly dying just before a night ends and give up due to frustration, there's a very limited timetable on how much fun you're going to have with any of these games. Or at least, that's how it was, until now. Some much-needed changes have occurred here that were long, long overdue. 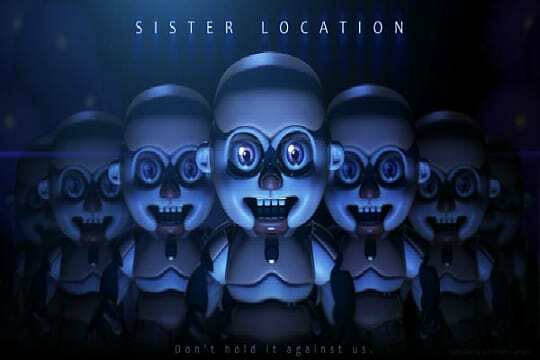 Even just a few minutes into Sister Location, its clear there was significantly more effort and care put it into this entry than the gimmicky previous games. There's some hilarious comedy right off the bat with a keypad that won't let you properly type and some fabulous lines involving changing voices and personalities. 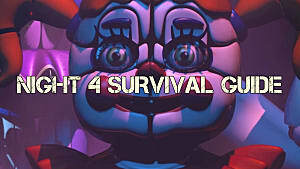 While the bulk of any given night has that tense sensation of, "Oh god, when am I going to get suddenly killed by an animatronic bear? 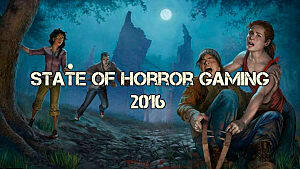 ", each level is continuously peppered with dark humor. Most importantly, the actual gameplay has been tweaked so its not the exact same experience constantly. 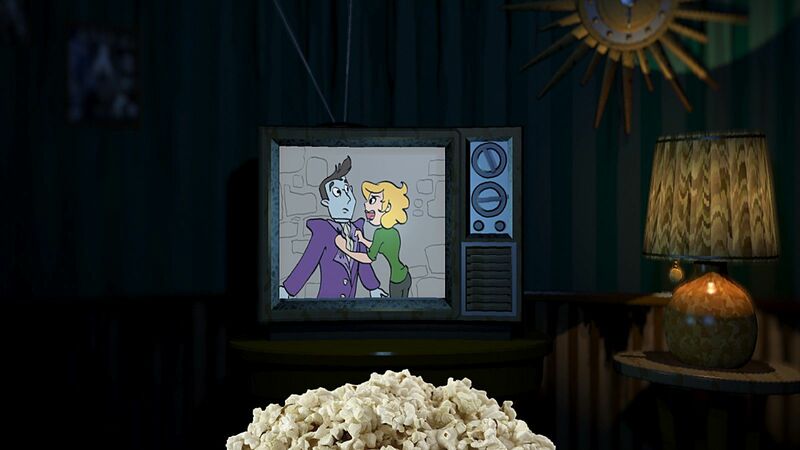 While there are elements you will find familiar, the bulk of this game is not spent sitting in a control room checking monitors and closing doors. Crawling through vents, hiding under a desk, tightening screws to hold back enemies trying to get at you: there's a much bigger variety of gameplay elements on display, even if it is all still very simplistic. 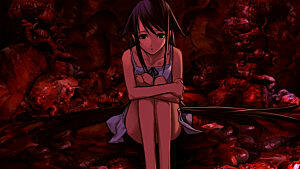 But don't worry, there's still terrible dolls who will leap out of the darkness to tear you to pieces when you mess up. There's more to the horror aspect than just the jump scares as well, with the female narrator in particular offering some very chilling and unsettling revelations over the course of each night. Sigh... I messed up again, didn't I? Time to restart the night. While there have been commendable changes, there are also some returning frustrations that need to be addressed. First up, this game massively needs a save system of SOME kind beyond just starting a specific night. There were several segments I didn't want to have to replay, and I also don't want to start the entire day over every time I exit the game. 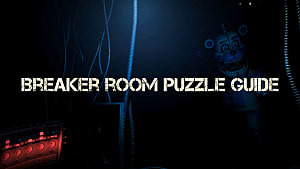 The breaker room and ballerina death crawl specifically come to mind, as I don't enjoy having to repeatedly go through a frustrating slow motion segment just to get back to the next puzzle. There's also some very unbalanced difficulty. You will play that utterly evil night 4 marionette sequence probably several dozen times – even if you know ahead of time what you are supposed to be doing. I haven't been this frustrated with a single game sequence since the hotel flight section from Call Of Cthuhlu: Dark Corners Of The Earth. 10 minutes from now we'll reach that door. Hope I don't die inside. 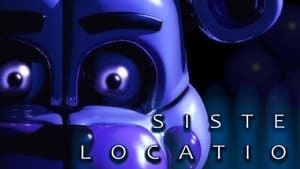 In terms of actual gameplay and polish, this is easily the best FNAF game, and if you rolled your eyes at the repetitive nature of the previous entries, then this one may actually be worth trying out. 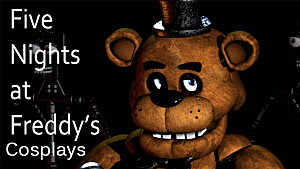 Honestly I'm hoping this signals a shift in the development cycle of the series so Five Nights At Freddy's can become more legitimate and less of an amusing gimmick. 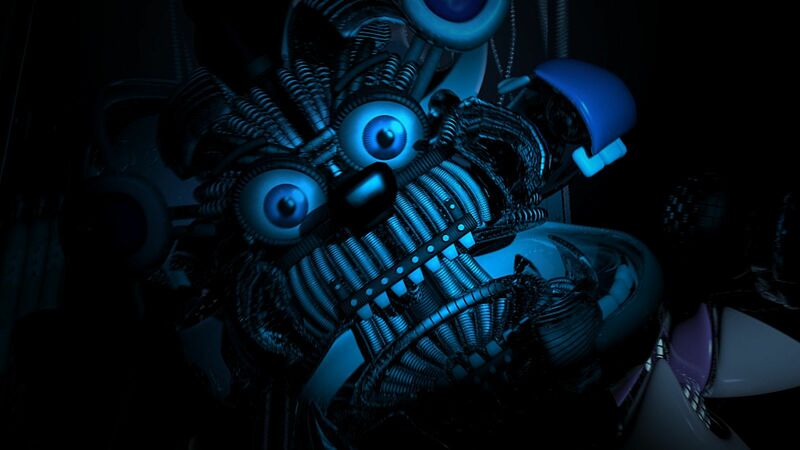 If you're reading this Scott: thanks for the best FNAF so far, but now take some time off, spend a year or even two developing a whole new concept based around this mythology with some more advanced gameplay. Maybe spend some of that fat dough on a small team of programmers to help out? Then come back in 2018 or so and really wow us with the next one. Who am I kidding? 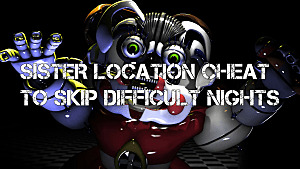 We'll be at FNAF 12 or 13 by next year. 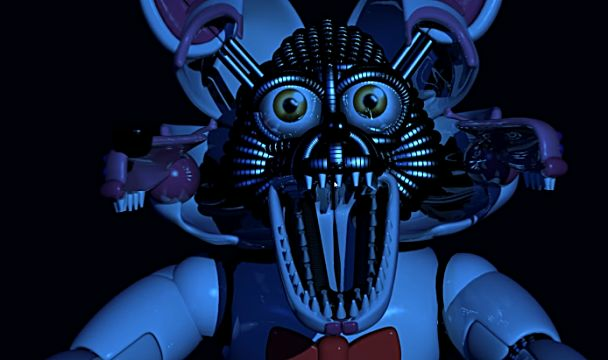 The FNAF franchise gets some long overdue changes that adds in new elements and offers more than just jump scares.